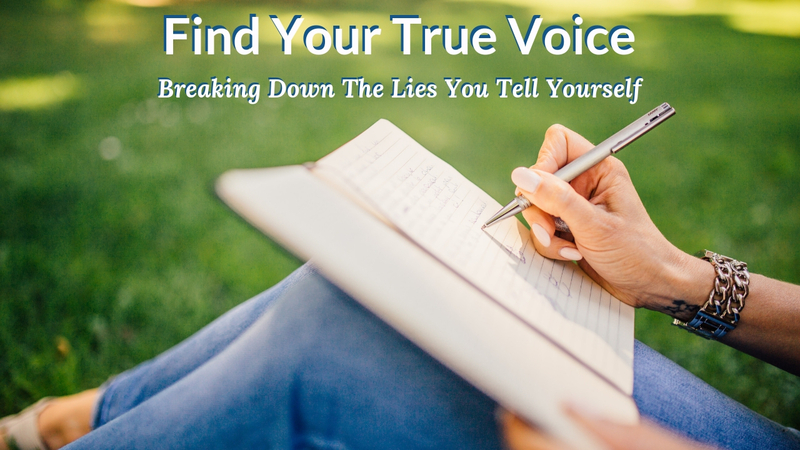 Finding our true voice - the God part of us that speaks clearly of our love of life, of passions and our hopes and desires - will automatically be awakened once we begin to have an intimate relationship with our Goddess Self. Our authentic voice is birthed when we know the difference between our authentic voice and the voice of fear. Our Goddess Self is revealed as we connect with God and the infinite energy of love that flows from our earthbound self to our higher soul-self. Our souls are infinite, meaning we are both here in the physical world and in Heaven with God. There is an energy that connects our soul to both Heaven and to Earth. This is how we can aspire to live life in our authentic self, to live enlightened and to understand our life’s purpose. It’s also how our departed loved ones can support our life’s journey with messages, and the signs they use to remind us of their love. The Goddess Self is the connection to the highest form of our soul, the part that is pure in essence, filled with Divine wisdom, knowledge and love. The Goddess Self lives in every soul, both female and male, as the Goddess is the feminine flowing energy of the Divine. The masculine energy that also flows within every soul is equally important as it balances the mental and emotional state. The masculine within us can tend to be one that is overgrown due to earthbound energies that arise from fear. Fear comes in many forms such as anger, frustration, judgment, justification and opinions. The voice we hear inside of ourselves has a tone to it. A tone is a sound or quality in which someone, something or even a situation speaks through any one of our senses. That tone can come from a place of love or a place of fear. We all have an inner guidance system that will help us navigate our life - it’s call intuition. Intuition is where God speaks, guides, supports and flows love into our lives. Our intuitive voice will speak to us from a place of love. Fear and ego voice, which, If you’ve read my books, you already know that I’ve named this voice for fear and ego Shmego. The voice of Shmego defiantly confuses us because it sounds like our own voice. The problem arises from the lies that we are told through Shmego’s tone which in turn blocks the flow of love in our life through our thoughts and in our perceptions. It’s important to understand that this Shmego guy has only one job in our lives and that is to keep us isolated from love. The pathway to find our authentic voice, the yumminess of who we are, comes from first knowing what lies that Shmego has us living and believing in. So here's a truth that you need to begin to realize: You are and always have been a child of God. Your choices are your superpower and that, my friend, is a fact. So let’s begin to break down the lies that you have been believing by answering a few questions. - Describe the limitations you believe are holding you back. - What are the major life events that have shaped your life? - What is the number one pain point in your life? Question 1 - We talked about the limitations that hold us back. Limitations are birthed from a moment when we experienced fear, a time where we felt that love was absent in some way in our life. This is when our Shmego guy came in and scared us and blocked love from our view. It is also when he told us lies about who we are and what we are capable of. What lie or lies can you recognize in the limiting beliefs you have? Question 2 - We are looking at the major life events that helped form our belief system. These events are where our trigger points were formed and where Shmego’s voice can be found. What are the events that have been replaying through your life? Can you recognize the trigger points and the lies Shmego has been feeding you throughout time? Question 3 - We are looking at the main source of pain in our life. Pain is a calling that something has gone off balance. This could be related to our health or relationships, your financial issues, or can stem from personal trauma. Pain has one thing that links all issues we experience together, and that one thing is fear. If pain has a story to tell, what is your pain trying to tell you? What fearful lies have you been believing about your pain?